Law students will be holding a free legal clinic Thursday to assist Rio Grande Valley drivers whose licenses have been suspended due to their inability to pay traffic tickets. 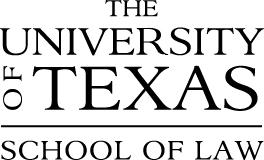 University of Texas School of Law students will help drivers, who lost their license because of the state’s Driver Responsibility Surcharge Program, get on track to recover their driver’s license and get back behind the wheel. They will assist drivers on an individual basis by researching the circumstances surrounding suspended, revoked or nonrenewable licenses and provide information detailing steps they must take to recover them, in addition to helping with applications for fee waivers and reductions. The Driver Responsibility Surcharge Program, which has been in effect since 2003, added additional fees for drivers with a history of multiple offenses like speeding, driving without insurance and driving while intoxicated, and failure to pay can result in the Texas Department of Public Safety automatically suspending someone’s license. According to data obtained by the Texas Fair Defense Project, which is partnering with the law school to hold the clinic, approximately 1.4 million Texans are ineligible to obtain a driver’s license due to the program, which disproportionately affects those living in poverty. The clinic will also assist drivers who can’t renew their licenses because of their failure to appear in court to answer a traffic ticket or their failure to pay associated fines. Statewide, more than 300,000 people have expired licenses for these reasons, according to the Texas Fair Defense Project. The Driver’s License Recovery Clinic runs from 4 p.m. to 7 p.m. Thursday, Jan. 17 at the San Juan Community Resource Center located at 509 E. Earling Road.